After Canada legalized recreational marijuana on October 17, there is increased interest in which country will be the next to get on the same track. Though the cannabis advocacy community believed that the US would be the first to follow Canada’s footprints, Mexico has already taken some baby steps in this direction. Drug policy formed a large part of the conversation during Mexico’s July 1 presidential election. The frontrunner, Andres Manuel Lopez Obrador, threw light on the idea of exploring an amnesty for criminal organizations to restrain drug-related crimes and violence. In October, Mexico’s president-elect Andrés Manuel López Obrador sent key representatives of his incoming cabinet to northern countries to discuss the concept of legalising recreational marijuana with their officials. The country’s soon-to-be foreign minister, Marcelo Ebrard, spoke with Canadian Prime Minister Justin Trudeau and Foreign Minister Chrystia Freeland. After the meeting, Ebrard said his country could absolutely follow in Canada’s approach to addressing drug-related crime by legalizing recreational cannabis countrywide. Like most Western countries, Mexico prohibited the cultivation and use of cannabis in the early 20th century. The Mexican government is now looking to implement measures to solve problems with addiction and criminal offences within the country. The issue of marijuana use was brought up for discussion again in 2015. 8-year-old Graciela Elizalde suffered from severe epilepsy and carried medicinal marijuana, which drastically reduced her ailment and enhanced her lifestyle. For now, doctors can prescribe low-THC, high-CBD medication to qualifying patients. People with debilitating ailments can grow their own marijuana at home. Despite the triumph of legalised medical marijuana, recreational legalization is still a little way off. However, there is an increasing number of cannabis advocates in the country, backed up by government officials claiming that legalization of recreational weed can help loosen the grip of drug cartels. Rising crime in Mexico last year shook the states of Baja California Sur and Quintana Roo, which are home to the resort cities Los Cabos and Cancun. In the first two months of this year, the crime rate increased significantly in comparison to the same period in 2017, even after the legalization of medical marijuana nationwide. There were 21,857 homicides recorded in Mexico between January and August this year. More than 238,000 people have been killed in Mexico since December 2016, after then-President Felipe Calderon ordered the army to fight against drug trafficking. 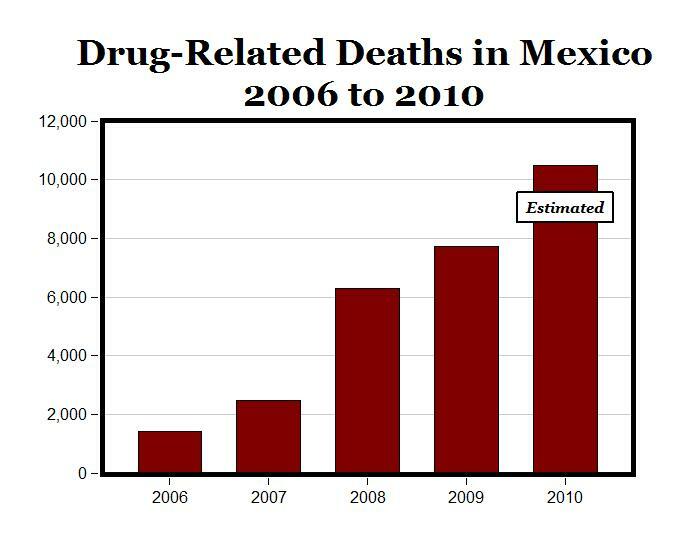 Each year, the government spends huge resources on handling cannabis-related crimes in Mexico. In late January of this year, Tourism Secretary Enrique de la Madrid said not stepping towards legalization of recreational marijuana is absurd. His opinion was that legalization of weed is important to curb the increasing crimerate in the country. These comments ricocheted six months before the presidential election in which the major debate topic was how to proceed with a U.S.-backed drug war that has caused the highest homicide rate in Mexico. Ebrard said that the country is looking at both the Canadian model and the Uruguayan model to outline its plan and process to legalize recreational weed. Mexico’s next Interior Secretary Olga Sanchez Cordero will lead the country’s “War on Drugs” to end criminalisation and bring forth the legalization of marijuana. The Mexican Supreme Court has logged three favourable rulings. However, cannabis advocates say the justices have to make five consistent rulings before the administration imposes a law on the citizens in the country, to truly make a change. Attorney Aguinaco Gómez Mont says that running the issue through the court is not enough. Everyone, including Congress, the Executive branch, media, and activities, has to come together to bring about any change. Following the Presidential elections, soon-to-be President Andres Manuel Lopez Obrador vowed to eliminate the army approach to the drug war. He said that his administration would do everything that is necessary to reduce violence and restore peace in the country. Mexico seems to be moving in the right direction, and it might not be long before the country follows in Canada’s footsteps and gives its citizens the right to use recreational amounts of marijuana.